Professor Snapp has taught in the legal writing program at Capital since 2004. Before joining Capital, Snapp practiced law for fifteen years. He provided providing general trial counsel to a wide range of clients. Professor Snapp also served as Acting Judge for the Bellefontaine Municipal Court, as Assistant City Prosecutor, and taught business law as an adjunct instructor at Clark State Community College. Snapp was a founder, President and Director and has otherwise been lifelong volunteer for Habitat for Humanity of Logan County. 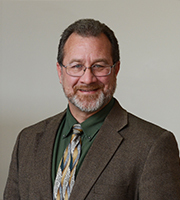 He has served on the Ohio Board of Directors for Habitat for Humanity, as a Trustee on the Logan County MRDD Board, as a member of the Mary Rutan Hospital Bioethics Committee, as the Board Chair and Trustee of the Ben-el Child and Family Center, and as a Trustee of the Adriel School. Snapp was voted the 2012 Professor of the year by the Capital Law School SBA.